Reserve your tickets ahead of time to the Tony® Award-winning Broadway musical An American in Paris during its run in London. Sing along to timeless hits, including 'They Can't Take That Away From Me,' 'I Got Rhythm', and other classics by George and Ira Gershwin. Arrive at the Dominion Theatre, located at 268-269 Tottenham Court Road, London, W1T 7AQ, for the 7:30pm showtime. With voucher in hand, you can collect your tickets up to one hour in advance at the box office. Make your way to your seat and prepare to take in one of modern theater's classic musicals. 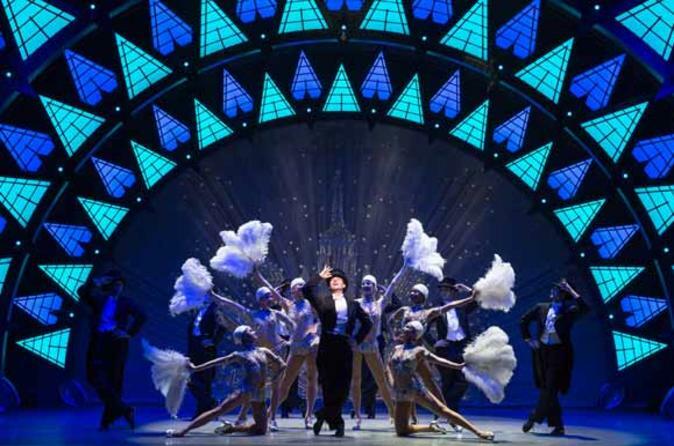 An American in Paris features its original award-winning Broadway stars telling the story of an American GI pursuing his artistic dreams in the City of Light. Through popular songs such as 'I Got Rhythm', 'I’ll Build a Stairway to Paradise', 'The Man I Love', 'They Can’t Take That Away From Me', and '’S Wonderful', the modern romance between the young artist and a beautiful dancer unfolds before the audience's eyes.